I thought I’d add a brief explanation. I put this mini protest banner up on the railings outside The Settlement building in Bargoed, in the Rhymney valley. The Settlement is a community building, which houses various community projects, clubs and associations. Bargoed has a strong community spirit, but many issues surrounding cuts, lack of employment and crime. Much like many towns in the valleys. I lived in Bargoed for a short time, it is currently undergoing a regeneration programme, which will be extremely positive when complete. My protest banner was meant to encourage people to think what they could do to improve their community. It’s no good thinking, someone should do something about whatever issue you feel passionately about, you are someone. Do something. C’mon Bargoed we’re here ready to go!! All ready at the Settlement ready for sewing! Hooray!! They’re here and looking fantastic (even if I do say so myself). It’s totally official now then, so just got to get them as visible as possible around Bargoed now! Hopefully people will actually come! So please check out my workshop and events page for more info! 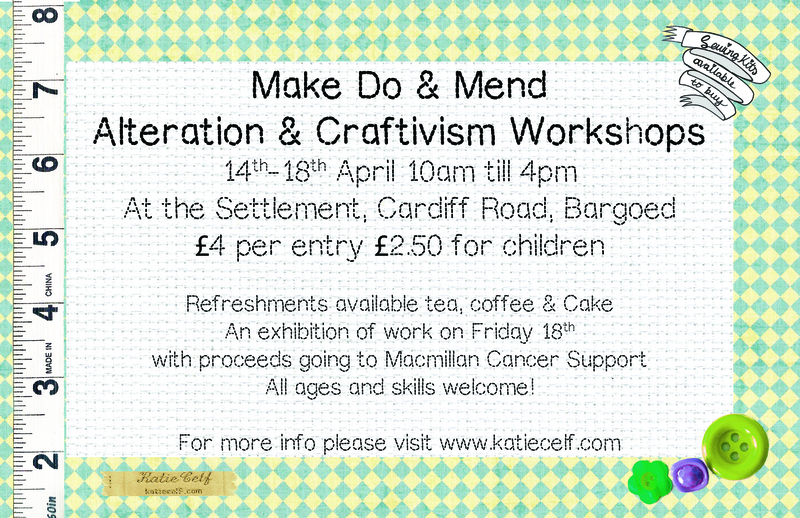 Through the Easter holidays, we’ll be holding drop-in sewing workshops at The Settlement on Cardiff Road in Bargoed between the 14th and the 18th of April 10am till 4pm. 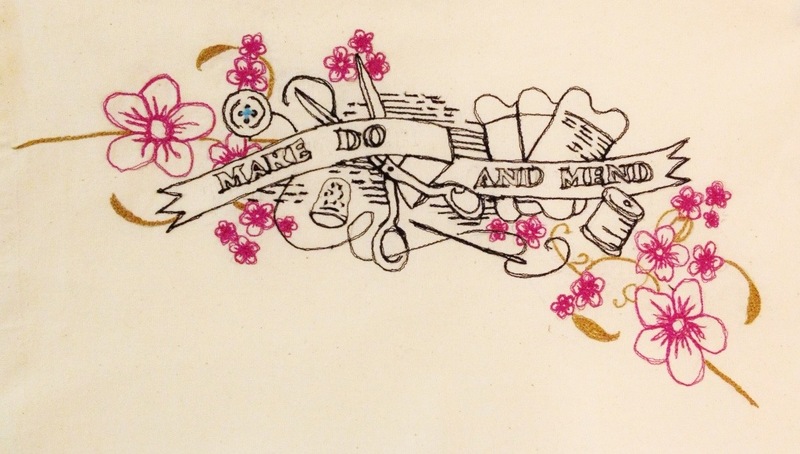 Make do and mend was part of the WWII ethos, between rationing and lack of production everyone just had to make do. Trying to get the most out of everything they had. 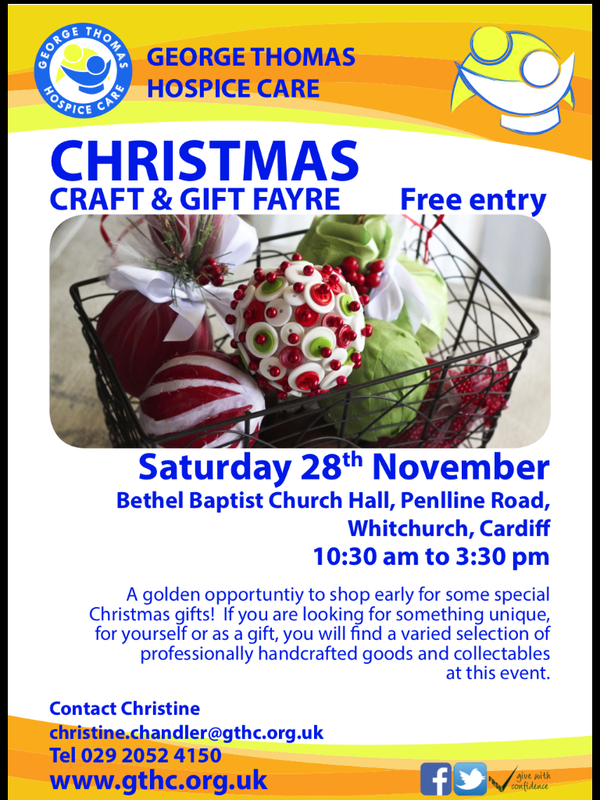 Patching trousers, darning socks, re-knitting old jumpers into something new, anything to make clothes last as long as possible! Today, we can reinvent the Make Do and Mend mentality to suit our modern needs. Especially now, with cuts, price rises and austerity, make do and mend is making a comeback in a big way! Upcycling is the new fashionable way of making do, using really creative innovative techniques to revive old items! For this drop in session, you are welcome to bring along any old item of clothing and learn the basics of altering and reviving old clothes. If you need to take in, let out, take up, patch repair or customise. The world is your oyster! 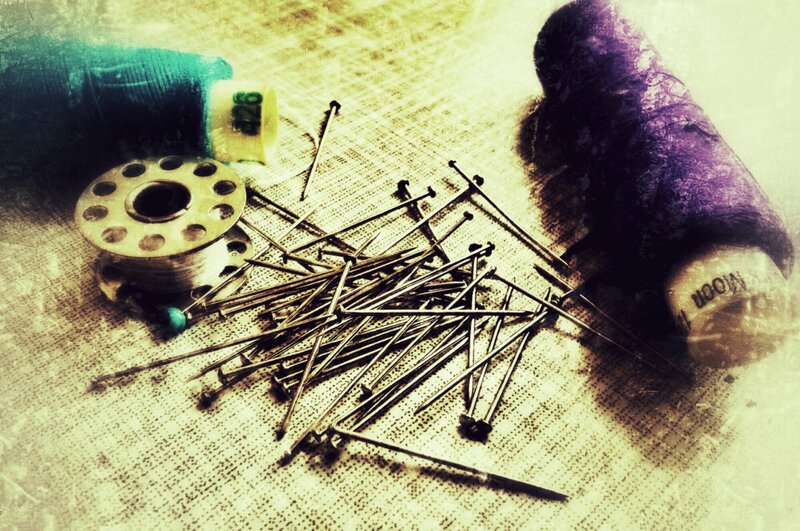 Don’t worry if you think your sewing skills aren’t up to much, learn some basic skills while you’re here. If you’re in need of some inspiration, check out my pinterest page on upcycling old tshirts here, for easy ideas! 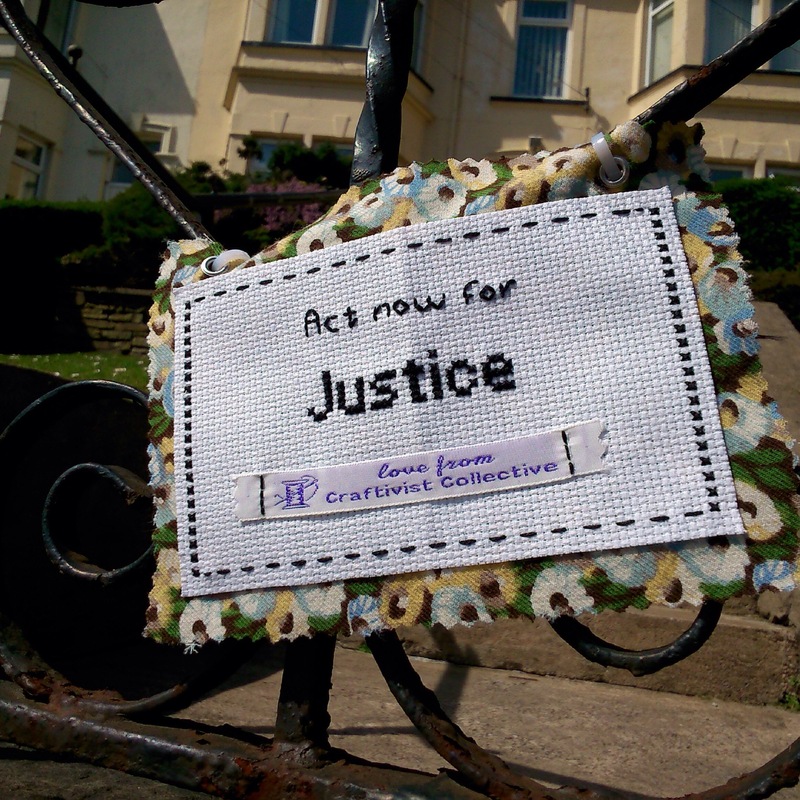 Basically Craftivism is a way of raising awareness for a cause you feel strongly about, whether it be littering, cuts, social justice, or feminism – anything you care about. For this workshop, I’m inviting the community of Bargoed and the Rhymney Valley to have a say on what you feel passionately about, whilst learning a new skill and having some fun! At the end of the Easter Holidays there will be an exhibition of some of the pieces of work we’ve made at The Settlement to show off the incredible work I’m sure will be produced and hopefully raise some money for charity. If you would like to take part in the Craftivist workshop, some materials will be supplied, but if you would like to be more creative please bring along anything you wish to customise your piece. 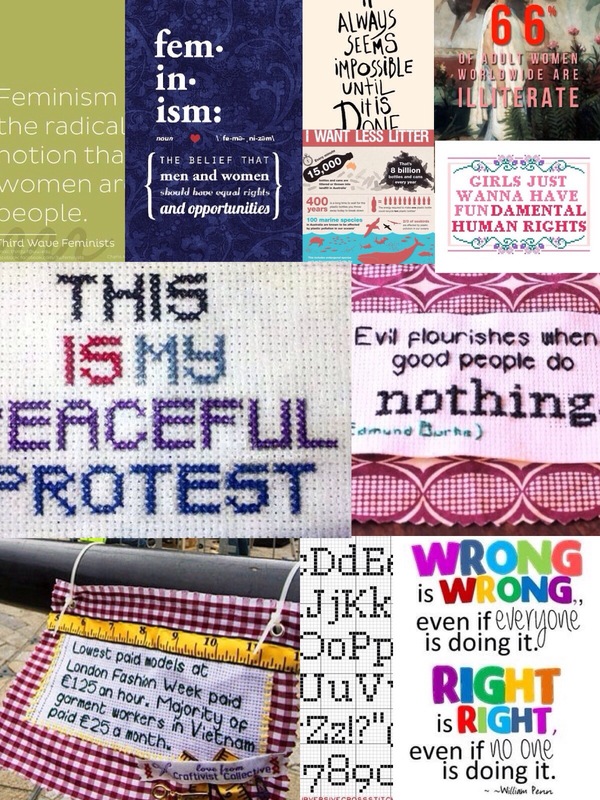 For further inspiration on Craftivism, please have a look at my Pinterest page here. I also highly recommend having a look at the Craftivist Collective website here for more information. Hopefully, there is something for everyone here! All ages and abilities are welcome to attend, and as its a drop in session you can stay for 5 minutes or 5 hours, its up to you. 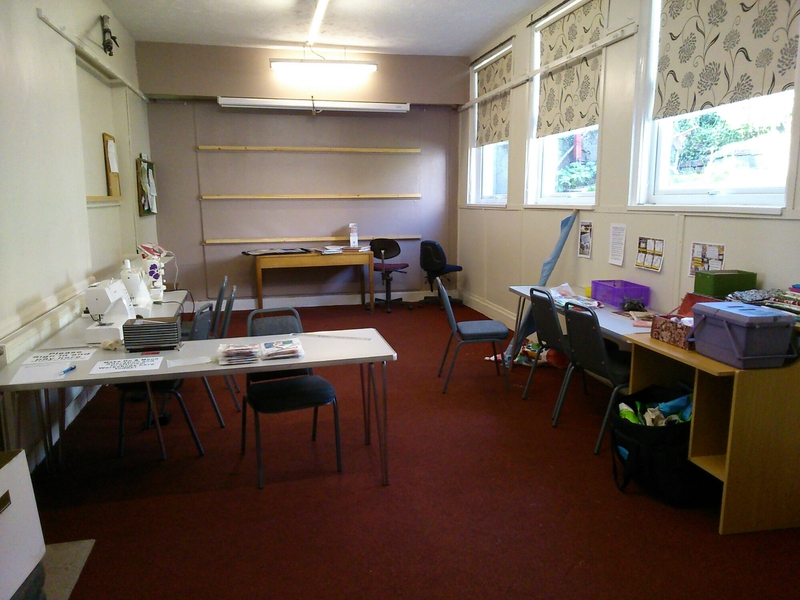 Through the Easter holidays, we’ll be holding drop-in sewing workshops at The Settlement on Cardiff Road in Bargoed between the 14th and the 25th of April at 10am and 4pm. 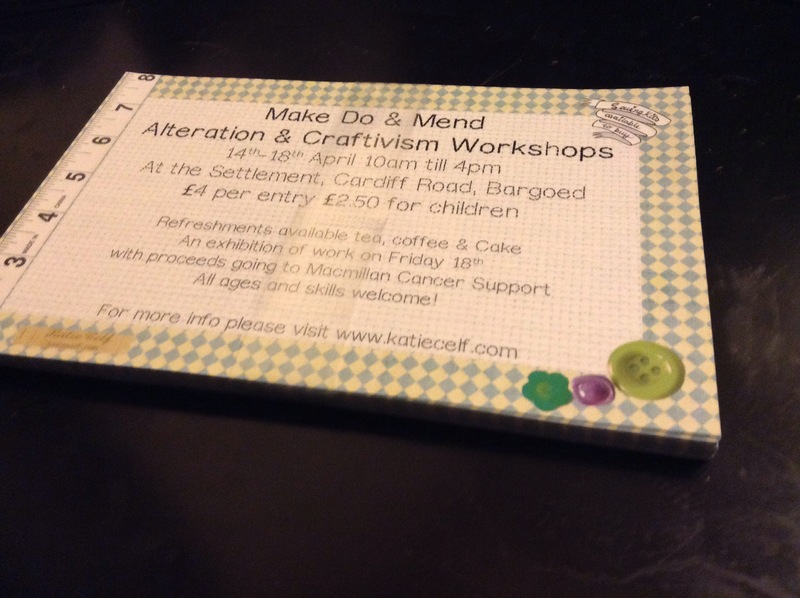 There will be a ‘Make Do and Mend’ Alteration drop in workshop and Craftivism Workshop! Please see my updated Events / Workshop page for more info. Hooray! First post of 2014, only taken 3 months! Its been a busy few months! I’ve been working on something fun which I’ll be announcing soon, involving workshops etc. I’ll be letting everyone know details soon! 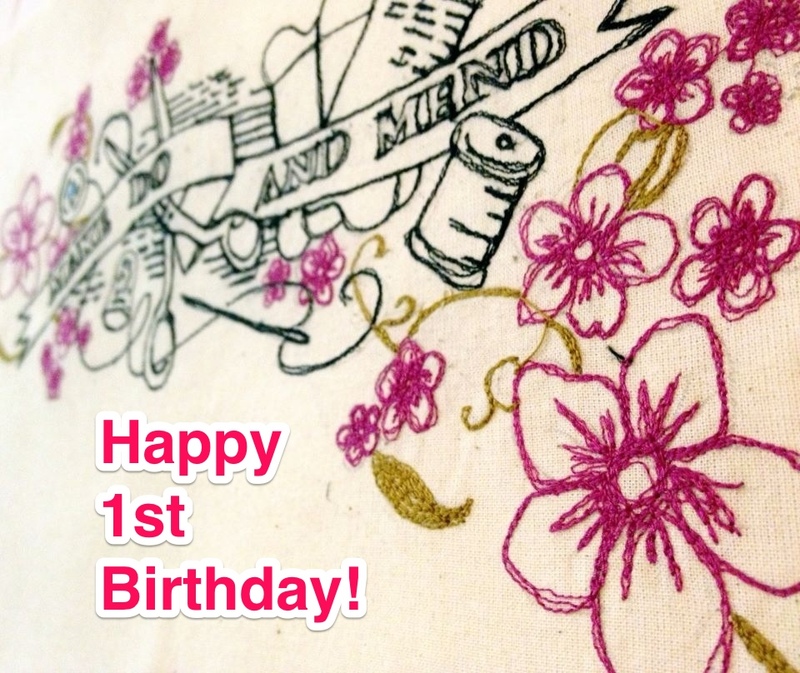 It’s my website’s 1st Birthday! One year of Katiecelf websitey goodness! And I’ll also take this opportunity to direct your attention to my events page! 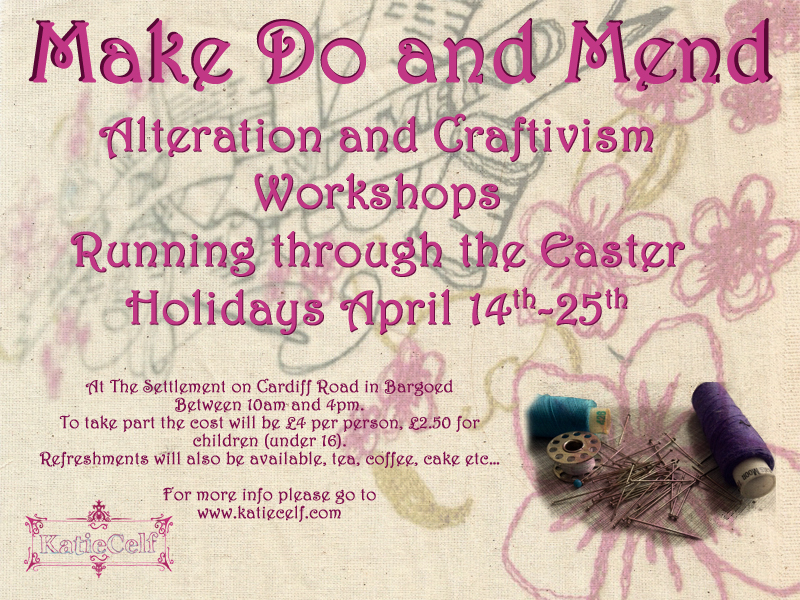 Lots of workshops at Calon Yarns coming up!